Named in honor of the late ornamental horticulture faculty member Lyle E. Littlefield, this garden — dedicated to research, teaching and demonstration — houses a collection of more than 2,500 woody and herbaceous plants. Considered a premier research facility, the garden was established by Littlefield in the early 1960s. Research focus includes evaluation for plants’ winter hardiness, ornamental characteristics and overall landscape potential. The garden is also a place for public and student enjoyment; situated among the plants are benches, a shrub-encased small pergola and a garden pavilion. 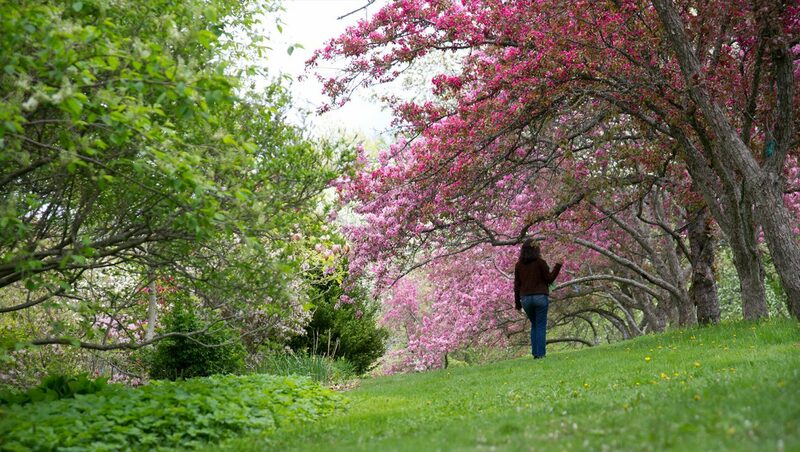 This lush garden is known for its extensive and diverse lilac hedge, and flowering crabapple trees.